I am headed out next week for a Western Caribbean cruise with some of my blogger buddies including the divine Six Sisters from the recipe site Six Sisters Stuff. 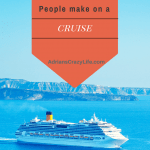 I’ve been on several cruises over the years, so I’ve learned what does and doesn’t work and I wanted to share some of my BEST tips with my wonderful readers. Disclosure: Some of these items contain affiliate links. If you click through any purchase any of them, I will receive a small commision at no charge to you. 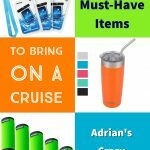 Here is a list of items I bring along for my cruises. I hope they will work as well for you! Regardless if this is your first cruise or your eighth, there is always something NEW to learn. Don’t worry about writing them all down – at the end, I have a downloadable list that you can print out and tuck into your suitcase! 1. Chargers for all your devices, plus a small powerstrip to plug them into. 2. A lanyard with pockets for your cruise card, money, ID, and credit cards. I got one at a bloggers conference years ago and I’ve used it on every cruise since. It even has room for a small map of the ship and a few breath mints. 3. An over-the-door shoe organizer. Very handy for toiletries, camera accessories, cruise papers, kids toys, or even shoes! 4. A small supply of basic medicines. Think Pepto Bismol, Tylenol, motion sickness pills, Imodium, etc. They are very expensive to purchase on board. You don’t want to go to medical unless you are dying! I promise you, it will be your most expensive doctor’s visit ever. 5. Think about packing some Post-it notes. I use them to leave little cheery notes for my cabin steward (to receive even better service! ), leave notes for my companions (I’m up by the pool or on the Lido deck), or just to jot down reminders to myself (Set alarm before bed for our early excursion tomorrow). 6. A highlighter is very helpful for marking your daily activity schedule. If you’ve never seen a daily ship’s schedule, it’s got maybe 40 or 50 activities spread over the whole day, so I would usually sit down after dinner and mark out the things I wanted to be sure to catch. While you have a ton of fantastic information and tips to explore, having the pop up for your additional tips on every single page is annoying. I signed up for the additional cruise tips, then started perusing your site. 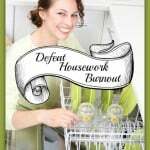 So many fun ideas, great tips and tricks, etc. I am very grateful. The pop up is a huge turn off. Especially if you are laying in bed at 4am (eek!) on your cell phone and can’t find the darn “X” to close the pop up. It’s on every page of every article. Can you maybe change that to just the lead in page? Thank you for that feedback! I’ve been meaning to fix those popups for the longest time, but just hadn’t found the right program or the time to do it. I finally went with Elementor Pro and I’ve just created a brand new popup that hopefully won’t be so obnoxious. Bungee cords make gr8 clotheslines for drying swimsuits. Thread the bungee cord through the straps, or for trunks through the legs then attach the cords to convenient anchor points (I generally wrap the cord around the anchor point and hook it to itself). 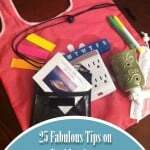 I keep a few magnets, a highlighter, pens, pencils – all those little items you mentioned in a vinyl see-thru cosmetic pouch & throw it in the suitcase when packing. I also carry 2 bright coloured Leis and hang one on our door and the other on the balcony for identification. Your tip about zip lock bags is gr8 I always carry a selection of sizes to store goodies. Always good for putting cookies and fruit in when going on excursions. My husband and I make a packed to never use the elevator. 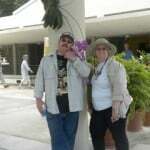 We were successful on a 10 day cruise and now going on a 14 day Panama Canal Cruise. This is what we do in order not to gain weight. Walking is also a good thing. Up and down stairs makes a great difference. I know not everyone is able to do this but if you are it is great. We don’t feel guilty eating dessert every night. We have cruised about 20 times and all your ideas are really good. For your followers who have not cruised before I would encourage them to go on a cruise. It is a great value for a vacation. We always have so much fun. We have cruised on several different cruise lines. All have been good. Each one has it’s own plus. You’re right, that is so smart. I love to wear my Fitbit and see how many steps I get on board. It’s a LOT. Hope you enjoy your Panama cruise. I’ve heard it’s beautiful. I have decided to print a calendar and put excursions on. You can add spa appointments as you go. Did you know the walls are metal? Ours were -magnets were our friend. For notices to each other. We also take advantage of the laundry service. About $50 for ALL YOU NEED. We pack fewer pants because they are bulky, underwear too. We are going for a month and will be sure to buy this! Great tip! It’s been three years this week since my last cruise. They’ve updated some of the options since my last time. That’s very smart. I can’t wait until I can go on another cruise and try out some of the ideas my readers have been sharing. Highlighter is a great idea for any vacation where you have activity options. I’ve never thought of that one, but will be adding to my suitcase! 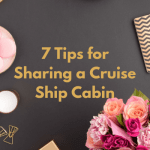 Surprisingly, I had never thought of bringing it anywhere BUT a cruise, but I sure could have used one at last months Build Your Blog Conference. There were 4 or 5 class options every 2 hours and I kept forgetting which ones I’d picked. I’m going to add it to my conference packing list. By the way, you should totally come next year. It’s only $99 if you get an Early Bird ticket and you can come and be one of my roommmates. Thank you for sharing all of these tips. We are going on our first cruise in June. It won’t be a typical one, but I’m sure I can apply a lot of the information you have shared here. Pinning this for later! Thank you! That is exactly what I love to hear. Enjoy your cruise. They are so much fun. Great tips! I also take water bottles so I can fill up on the lido deck and carry them to the other ship activities. Otherwise you get thirsty and succome to purchasing drinks (OR you have to walk a mile to get a drink). Also, instead of buying the soda card, either made do with the free iced tea and lemonade, or take along flavor packets for the water. Fanny packs are good for excursions also. I will be using some of your ideas on my retirement cruises, thanks! Great ideas! Hope you have a fabulous time on your cruise. Some ships do not have outlets in the bathroom. I find that battery-operated tea lights make good night lights. Depending how bright they are, you may want two in the bathroom. If you are on a ship with inside balconies, it is fun to put up window clings to identify your room from below. You know, I never thought about using those little battery operated ones. I think I’ll add that to the post. That way you aren’t taking up one of your valuable outlets and they are very small and don’t take up any extra room. Thanks for sharing. 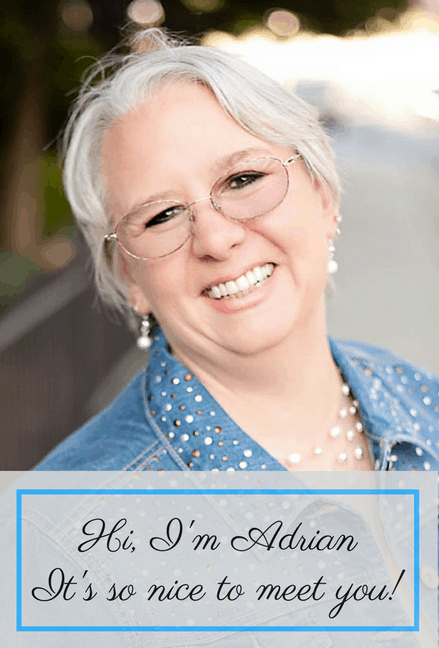 I can’t tell you how happy I am to have come across your blog! We are going on our first cruise in two weeks, taking my parents on RC Oasis for their 50th Anniversary, we are very excited but nervous and your well thought out and very detailed list really helped to put some of my fears to rest….thank you so much for sharing this valuable information!!! Thank you! I’m so glad you appreciated the tips. Cruises are so much fun, but it’s kind of nice to have a little advance warning about what to expect. Did you check out my other post on how to save money on a cruise and how to manage the buffets without doing too much damage to your waistline? 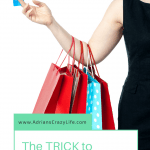 They definitely will try to get you to spend money on stuff you don’t really need, but if you’re smart about it, you won’t have a big bill at the end. Thanks! I hope it works for her. I think the suggestion about bringing medicines was right on. We have taken snack foods, candy, gum, and pop on board. And on Carnival, if you go to the Purser’s desk, and ask, they’ll provide you with “carnival” playing cards, for free, or they did last time I cruised with them. We’ve also taken a soft side cooler, and our steward kept ice in it for us. Cruises are a great value. Additionally, my brother went to a store called Gabriel Brothers before his honeymoon cruise, and purchased a tux. Gabe’s is the ” Big Lots” of department stores, And I think he paid about $50. for it. $50 bucks for a tux is a great value and he’ll be able to use it again and again. Unlike our clothes that go out of style quickly, men can wear a tuxedo forever. Something to add about the cards. Most ships with Casino’s have huge stacks of cut decks that they cannot use anymore and often they will just give them to you if you ask, at most they may charge you $1-2. That’s a great tip. Thanks for sharing. My sons collect decks of cards, so they would have been happy if I’d brought them home some. I am going on my 4th cruise April 16th but i always like to see what tips other people have. Very helpful tip putting a magnet on your door to help you find it! I don’t know how many times i tried my room card on other peoples doors!! 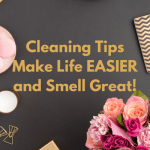 These are all great tips, thank you for sharing! That’s great, especially coming from a cruise magazine. 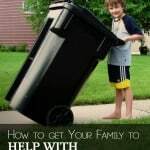 Feel free to share some of these tips with your readers. I popped over to your site – you’ve got some fantastic photography. I just wish I could take photos like that. 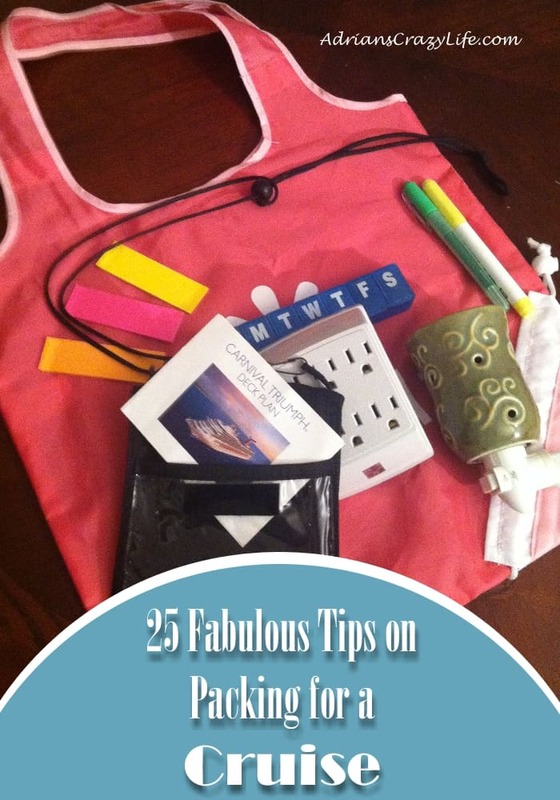 Thanks going on allure of the seas in december , these tips are really good ! Definitely taking a landyard and ziplock bag ! You are going to have such a wonderful time! I almost went on a different blogger’s cruise on the Allure of the Seas – it looked like a wonderful ship! Hope you enjoy your trip. Stopping by from SITS blogging. Thanks SO much. We’re cruising soon and I needed this checklist. Wow, it seems like you do have this under control. Haha. I hope you have a great time on your cruise!